The family of a man who hanged himself at the Donna jail nearly two years ago appealed the dismissal of their lawsuit against the city over the in-custody death. U.S. District Judge Micaela Alvarez dismissed the case in December citing lack of evidence to support allegations that Jose Luis Garza’s Fifth and 15th Amendment rights were violated. U.S. Customs and Immigration agents who conducted routine immigration checks, not city jail staff, found him hanged by a shirt tied to a jail cell door the morning of Feb. 19, 2016. Garza died by suicide as a result of asphyxiation. Manuel Guerra, the attorney representing Jose Luis Garza’s family, believes the 5th U.S. Court of Appeals will find enough evidence to support the family’s contention that his civil rights were violated because he was left unprotected and at risk of harm, which led to his death. Evidence showed jailers did not know that Jose Luis Garza may be at risk of suicide, according to Alvarez’s written opinion. 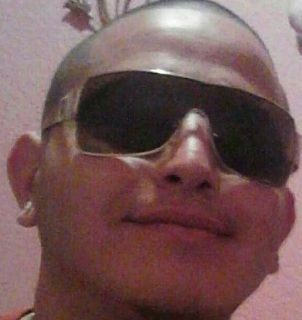 Garza, who was 28 years old at the time of his death, was taken to the jail after his mother Veronica Garza called police because she was afraid he would fight his brother. Veronica Garza said she could tell her son was “under the influence of something” before being jailed, according to a transcript of her deposition. Veronica Garza said her son would occasionally be taken to the police department to “calm down” and sober up, according to a transcript of her deposition. He was booked into jail on an assault by threat charge, a Class C misdemeanor, while he was intoxicated, according to an incident and arrest report. In 2008, Ruben De Leon ordered communications officers monitor inmates via closed circuit cameras “continuously 24/7,” according to a written order. The patrol division was also to keep a cell log and check on inmates at least once an hour. Jose Luis Garza covered the camera monitoring the jail cell with wet paper towels prior to the suicide. Instead of watching Jose Luis Garza, jail staff prepared two signs — one depicting The Punisher skull logo and another that read, “Welcome to the Donna Hilton,” according to the joint response by the family prepared by Guerra. Guerra equates the “Welcome to the Donna Hilton” sign with Hanoi Hilton — a prison camp used where U.S. soldiers were held as prisoners of war, or POWs, and tortured during Vietnam War. De Leon called the Texas Rangers, a division of the Texas Department of Public Safety, to investigate the in-custody death. Much of the allegations surround jailers failing to check on Jose Luis Garza while he was incarcerated every hour as mandated by the chief. After Texas Rangers conducted their initial investigation, one jailer “subsequently altered the jail log to falsely indicate that an in-person cell check had occurred,” according to the joint response by Guerra. Two jailers, though, said they checked the cell at about 8:10 a.m., 38 minutes before U.S. Customs and Immigration Enforcement agents arrived. “Anytime someone loses their life, it’s a devastating thing for everyone involved,” said De Leon. He referred further comment to the attorney working the case. J. Arnold Aguilar, the attorney representing the city of Donna, could not be reached for comment. Meanwhile, Veronica Garza claims she feared for her son’s life and feared he might hurt others. “There is no evidence (Garza) had ever expressed an intent to harm of kill himself, or that (Garza) had either specifically expressed an intent or actually tried to hurt himself during any of his three to four previous stays in the jail,” according to Alvarez’s written opinion. It could be months before the appellate court — which will examine the dismissal and evidence — reviews the case. “This man did not deserve to die at the hands of people who didn’t care, and their job was to protect and serve the public,” Guerra said.